Taking snapshots or capturing funny pictures might be exactly what we need for surprising our family, friends or coworkers thus nothing’s better that having precious memories along with the ones we love. 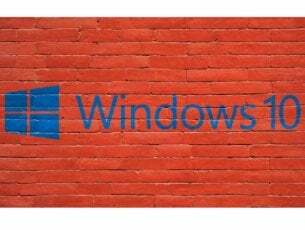 In that matter you can now turn your Windows based device into a photo booth kiosk. How is that possible? Well, with Instant Photo Booth from Windows Store you can now use your computer or portable device for capturing great instant pictures. 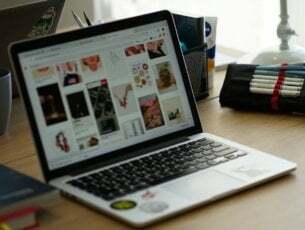 Therefore, with this new Windows 8 software you will be able to take amazing and funny images and you can then modify and personalize the pictures captured with your device. Also, Instant Photo Booth app can be used for sharing your favorite moments with your friends by using social media networks or by email your personal pictures. 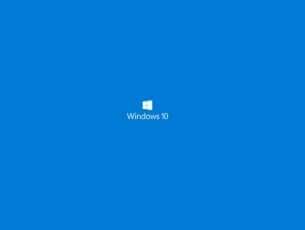 Instant Photo Booth can access any Webcams that are connected with your device and supported by the Windows platform. 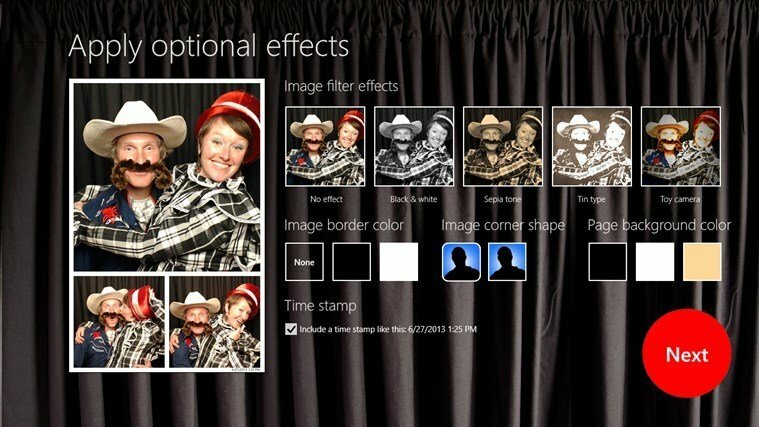 Also the app features great templates and built-in photo layouts that can be used when taking snapshots or when using your Windows 8 device like a photo booth kiosk. All the captured images can be instantly printed or shared via Facebook, Twitter or any other social media network, or through email if you want to keep your images private. Moreover you can store your images by using the SkyDrive Service and you can modify the pictures by using in-built features and settings. Each time, you will be able to set a new layout, which can be previewed for a few seconds before the actual photo session. You can use layouts for single or multi person pictures and you can then apply filters and other effects in order to obtain great and unique moments. 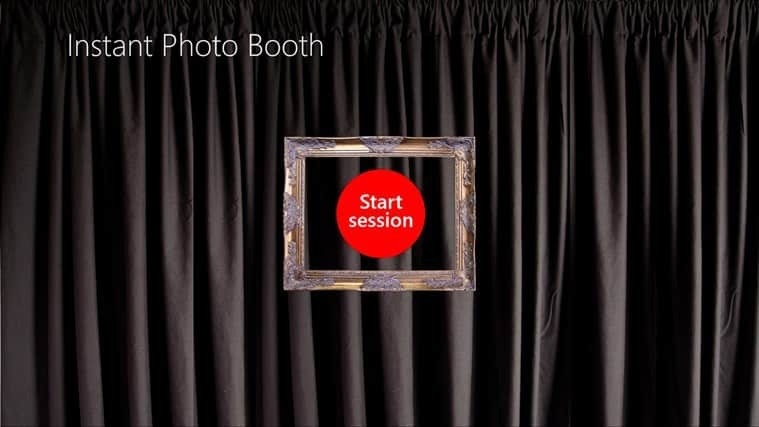 Instant Photo Booth can be installed on any device you want as the app is compatible with Windows 8, Windows 8.1 and Windows RT. The tool is priced at $2.99 on Windows Store though a free trial version is also available. Download Instant Photo Booth from Windows Store.